It is a deceptively simple question: What are we getting paid for? Yet many businesses arrogantly assume they know what their customers want and believe they have been giving them exactly that for years. This is a myopic vision, and potentially harmful, because there now exists a plethora of information available on why people buy, how they buy, and the decision process they go through, which businesses ignore at their peril. Kevin Kelly: Generative Value will be more important in our increasinbly technological future. Economist Thorstein Veblen [1857–1929] posited many theories in his book The Theory of the Leisure Class (first published in 1899), which Maital has drawn upon for some of the above motivations of why people buy. Veblen referred to a “barbarian culture,” citing that trophies such as property or slaves were signs of successful aggression. In today’s culture, luxuries are the major signal of status and class, which Veblen reasoned were purchased for two reasons: to show others you are a member of the class above and to distinguish yourself from those below. Don’t sell me clothes. Sell me a sharp appearance style, and attractiveness. Don’t sell me insurance. Sell me peace of mind and a great future for my family and me. 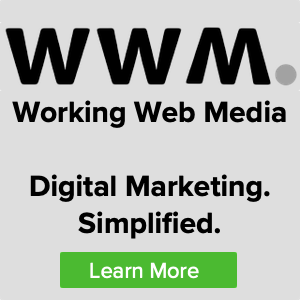 Successful salespeople do not necessarily ignore features in the products they are selling, but they almost always add “which means” to the end of every explanation of their product or service offering. This is a good theory; it has a certain utilitarian streak to it––that is, the idea that individuals spend their time (and money) pursuing pleasure and avoiding pain. It is the old marketing axiom that says you really do not buy drill bits, you buy the hole it makes. Understanding that simple fact could help a company (such as Black & Decker) get into the laser beam business, since they, too, put holes in things. It also explains why so many people purchase lottery tickets; they are really buying a low-cost dream. Rogaine does not sell hair (it cannot legally make that claim, since it does not work 100 percent of the time); but it does sell hope, and its advertising reflects this motivation. Focusing on the total customer experience––solving the problem and creating the good feelings––demonstrates not just competency, but distinction. But the utilitarian view posited by LeBoeuf does not help a firm custom tailor its service offering to its various customers. Theodore Levitt’s theory of what customers really buy: expectations. Levitt was a marketing professor at Harvard Business School, and once the editor of Harvard Business Review. His expectations theory is useful because it forces the company to focus on the utility the customer is trying to maximize. By ascertaining customer expectations, the company has the ability to manage––to a certain degree––those expectations. Southwest Airlines is a master at managing customer expectations. Customers understand very well that it is a no-frills airline, with no assigned seats (although this is expected to change), no food, no first class, and so on. Because expectations are dynamic, not static, it is also imperative to continuously ask customers what they expect. A company should never rest on its laurels and assume it knows exactly what the customer is up to. When General Electric asked this question for its jet engines, it came to the same conclusion Caterpillar did, and it innovated the “Power by the Hour” program for its aircraft engines, whereby it would be responsible for maintaining the engines and price for the serviceable usage the airline received. Charles Revson, who launched the Revlon cosmetics empire, introduced color-coordinated nail polish and lipstick during the Great Depression. His competitors acted as if the product was a commodity, but Revson knew better. He believed nail enamel was not just a concoction of chemicals, or a beauty aid, but a fashion accessory, and he believed women should use different shades to suit different outfits, moods, and occasions. This, of course, greatly expanded the market, as women now purchased multiple nail colors, and matching lipstick expanded the market again. Indeed, he understood better than his competitors what he was really selling. His famous saying, “When it leaves the factory, it’s lipstick. But when it crosses the counter in the department store, it’s hope,” reflects the wisdom of a company in touch with its customers’ expectations. Disney is another company that has mastered surveying and listening to their customers. In the Disney tradition, they have their own term for the art and science of knowing and understanding customers: guestology. At the Disney University course on customer loyalty, they teach that the most significant factor that determines whether a family will return to a particular resort hotel comes down to one item (and this Disney executives were shocked to learn, according to the instructors): the swimming pool. 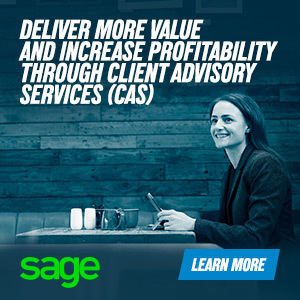 Focusing on the customer’s individual expectations forces the firm to individualize its service delivery to that particular customer’s wants and needs. No two customers should be treated equally. Customers want to be treated individually, or better yet, specially. I am unaware of any store, or any business school, for that matter, that conducts a course or a series of lectures on “The Care and Treatment of Customers.” I am referring to “customers” and not “consumers,” for never in my retail experience have I ever seen a “consumer” enter a store. I’ve seen lots of “customers,” for that’s what they call themselves. Americans used to be known as the world’s best salesman. Recently, it has become difficult in most stores to encounter that quality of salesmanship, if indeed you can even find a salesperson. A few years back, I made up my mind I would not buy anything I did not urgently need unless a salesperson was convincingly persuasive. As a result of this self-imposed discipline, I have saved $46,734. The store used to have a standing offer of $20,000 for any salesperson who was able to read the mind of the customer. No one ever claimed the prize. Another concept is that people buy emotionally and justify intellectually. I live in California, and I understand the best time for earthquake insurance sales is right after one. This is curious, especially from an actuarial point of view. If people were willing to assume the risk prior to a quake, why would they not be willing to assume the risk after one strikes? People do not like to feel they are being sold because it makes them feel like they are out of control. The best salesmen in the world actually empower customers to buy and help them envision their future with their product or service. Forget selling, focus on what the customer buys. 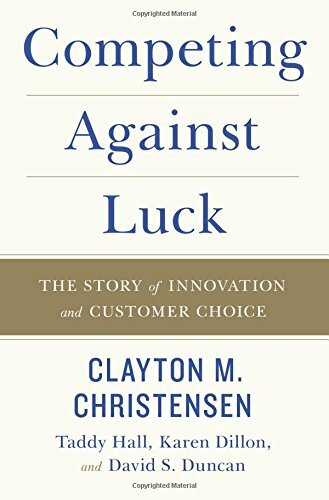 In Competing Against Luck: The Story of Innovation and Customer Choice, Clayton Christensen, 2016, posits The Theory of Jobs to Be Done. Innovation is about progress, not products You’re selling progress, not products. What are the experiences that customers seek, not just in purchasing, but in using? Question: What job did you hire that product to do? A job is defined as: the progress that a person is trying to make in a particular circumstance (we don’t create jobs, we discover them). Customer satisfaction metrics: don’t reveal clues as to how to do the job better. Negative jobs often are the best innovation opportunities, such as CVS prescribing medication with nurse practitioners. P&G marketed in China that babies who wore Pampers disposable diapers fell asleep 30% faster and slept 30 minutes longer. More sleep led to better cognitive development. By 2013, China was buying $1.6 billion of Pampers, giving P&G a 30% market share, in a country that hadn’t used disposables just a decade before. IKEA doesn’t focus on demographics/psychographics, it is structured around jobs to be done. In 1952, surgical pioneer Dwight Harken observed that patients were surviving increasingly complex surgical procedures, but an alarming number of them were dying in post-op care, even though all hospital processes were being followed. An excellent example of being efficient and completely ineffective. This observation—which is not quantitative, but qualitative, led to the ICU. From 2012-16, according to Breakthrough Innovation Reports, by Nielsen, 20,000 new products were launched. Only 92 sold more than $50 million in year one and sustained sales in year two. Not everything that motivates us is a Job to Be Done. Bottom line: we humans are unpredictable, dreamy, wayward creatures that can’t be neatly fitted into a unifying theory.